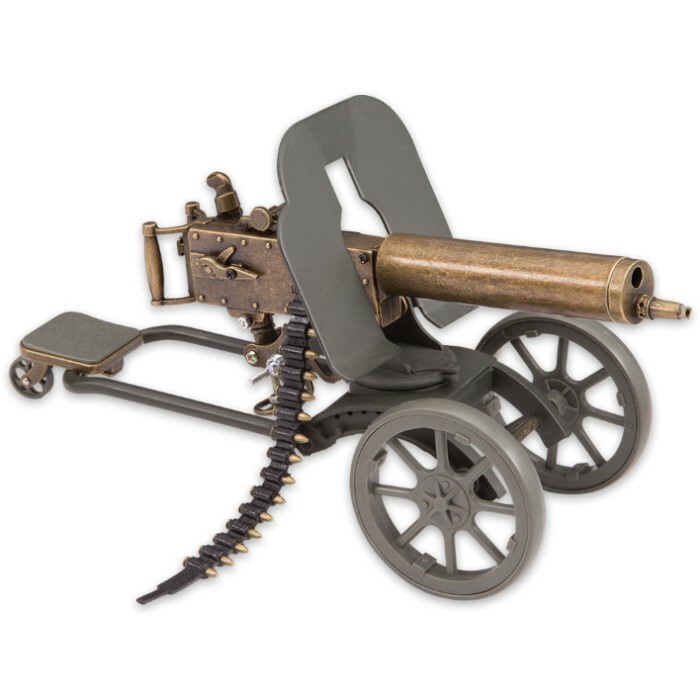 Maxim Gun Replica Desk Display | BUDK.com - Knives & Swords At The Lowest Prices! Dimensions: 9 3/4" x 5"
The Maxim Gun was one of most influential inventions of warfare! 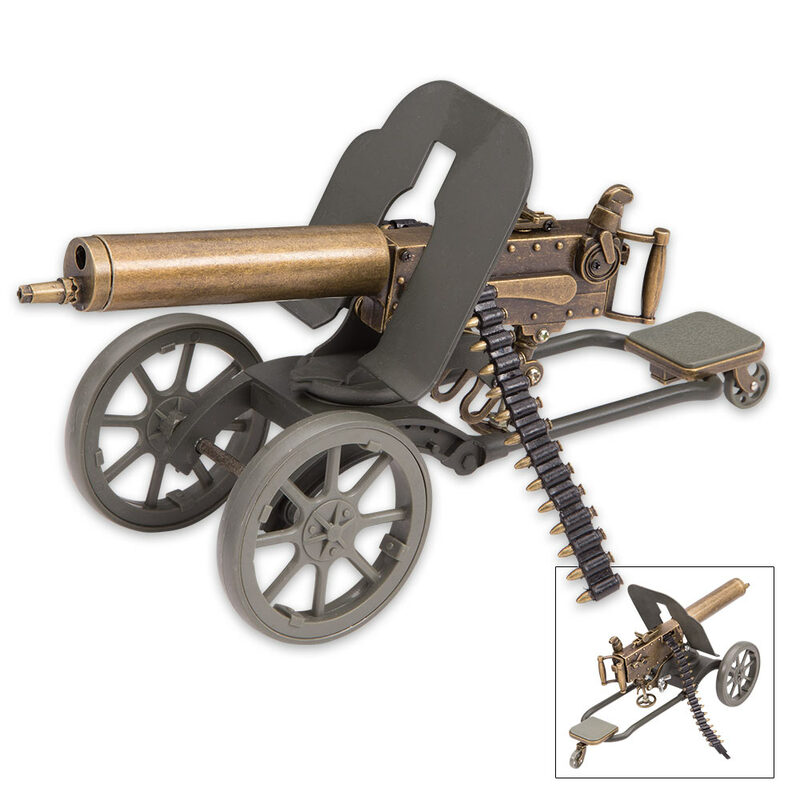 It was the first self-powered machine gun, since, previous machine guns required a hand crank. It could fire 500 rounds per minute, which was a revolution in warfare when compared to the standard bolt action rifles employed at the time. 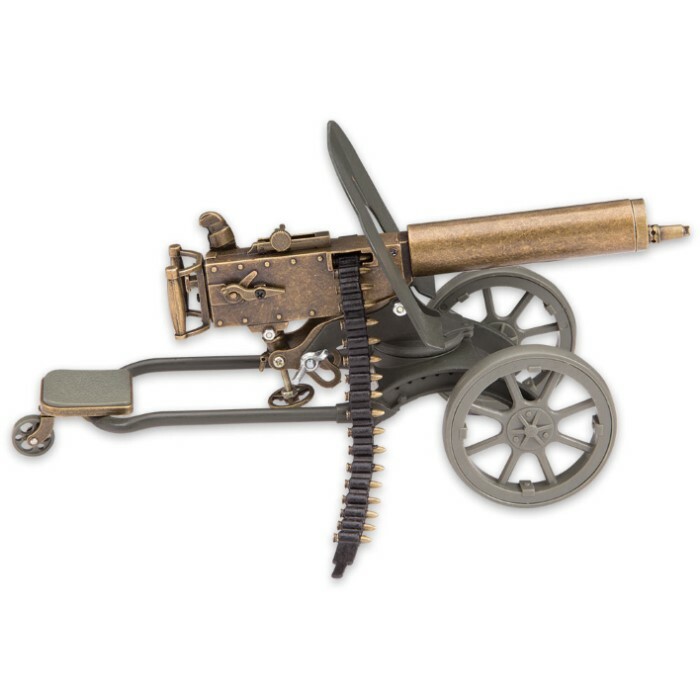 During the First Matabele War, 50 British troops held off 50,000 warriors with only four Maxim guns and during WWI, 90 percent of gunshot wounds were attributed to this machine gun. Our replica has been crafted from antiqued steel and features a movable sight, movable action, and a threaded locking mechanism. The gun is mounted on a wheel platform and the barrel can be raised and lowered. A steel gun shield has been added to the machine gun ring and a belt of replica bullets has been included.